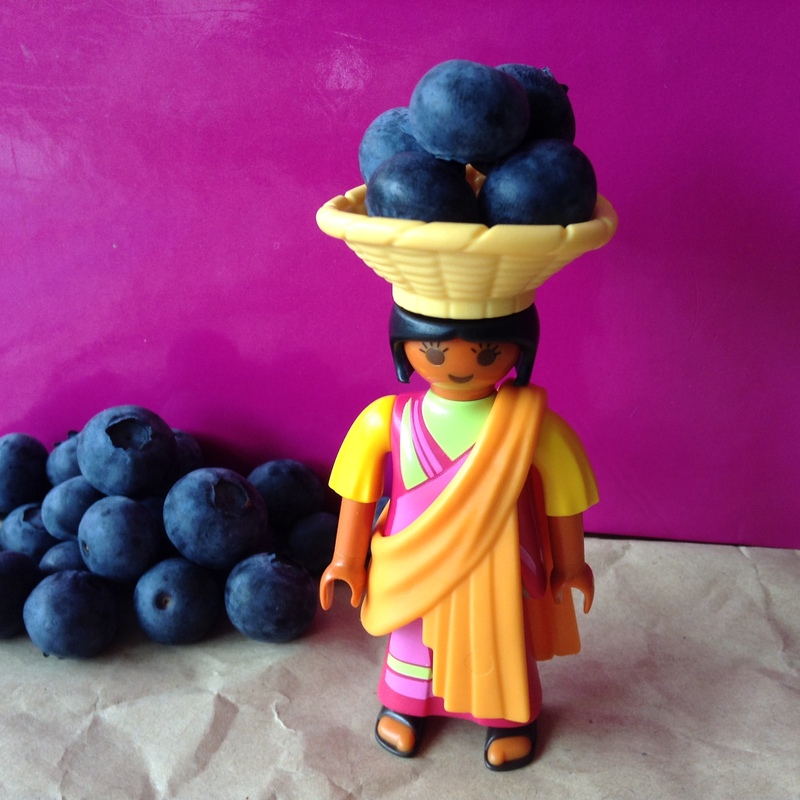 Fresh blueberries for a beautiful fruit salad! 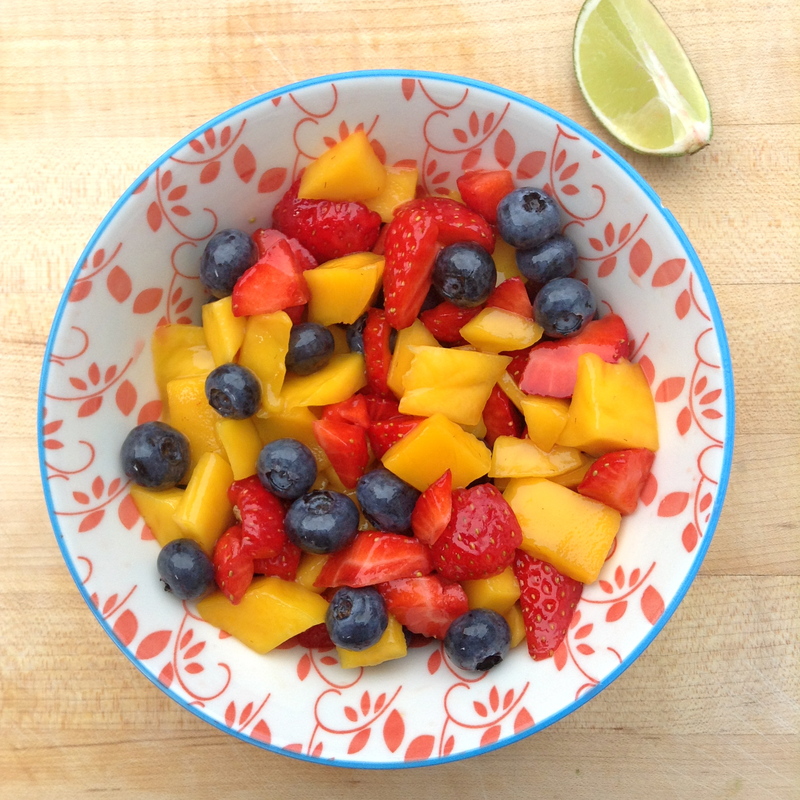 This fruit salad came together by accident – I had a lime that needed eating up and having had lunch at Mexican eatery Wahaca earlier in the week I felt inspired to give my fruit salad a bit of a Mexican twist, and we all loved it. 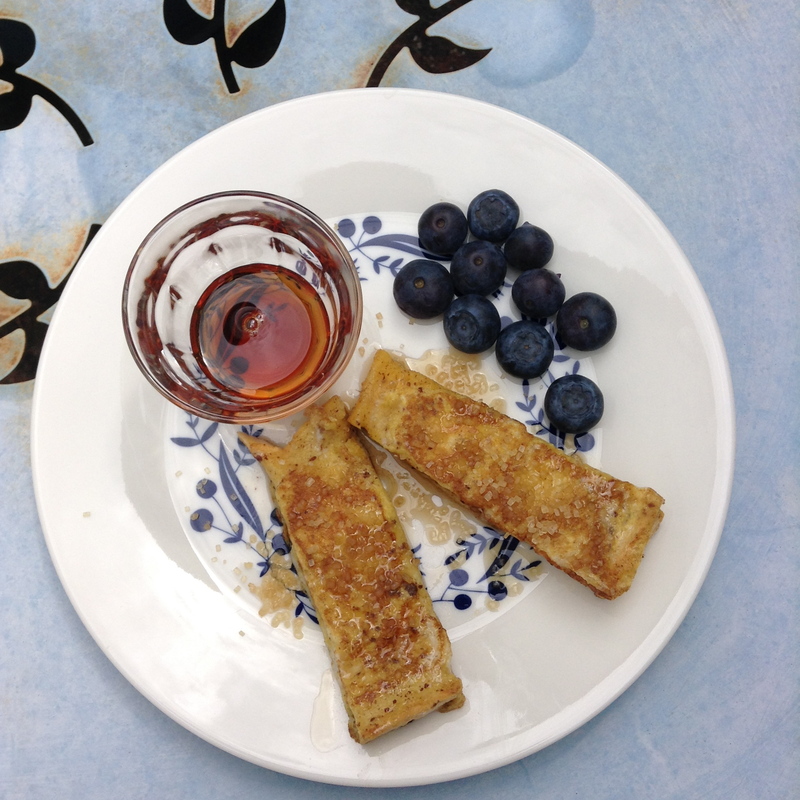 We had it for breakfast outside last week – super-healthy and so delicious. The colours are simply amazing – look! 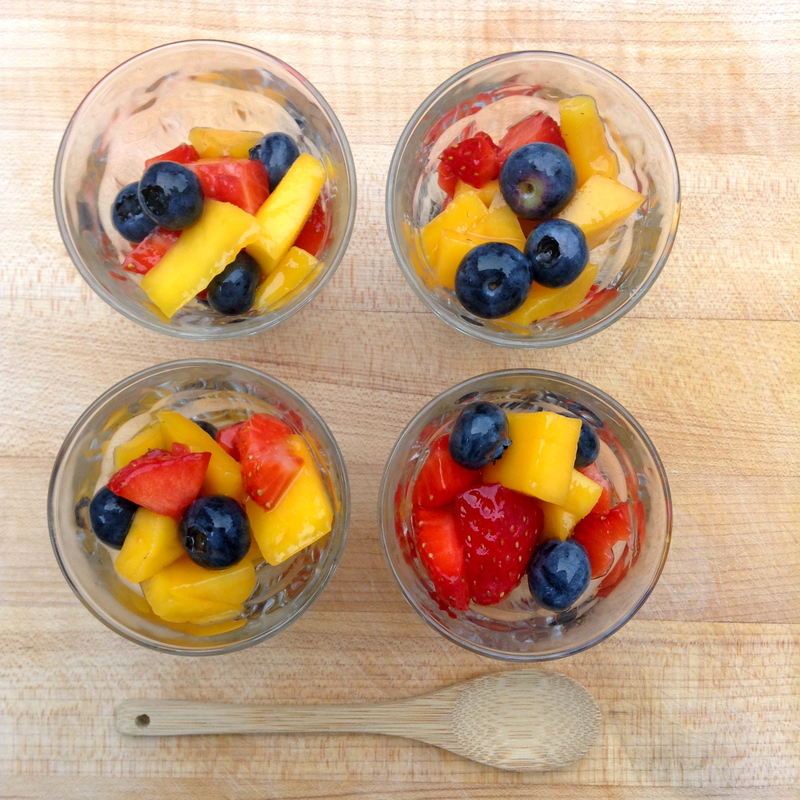 Warm weather seems to make it easier to eat more simply than usual and I’ve been whizzing up smoothies, throwing together delicious salads and keeping family food simple, just using delicious ingredients such as these fresh strawberries and ripe mangoes. We’ve also been enjoying some lovely al fresco food on local picnics here in our little corner of south-east London, as well as barbecues on our recent camping trip to the New Forest, when we also toasted marshmallows and ate ice-creams every day. We were very taken with the wild ponies – what a beautiful part of the world! Enjoy making this – it’s so quick and easy and an absolute winner! This one couldn’t be easier: simply toss together the fruit, squeeze over the lime juice and stir in the maple syrup. Let it sit for 20 mins before eating, so the flavours combine really well. Stir again before serving. 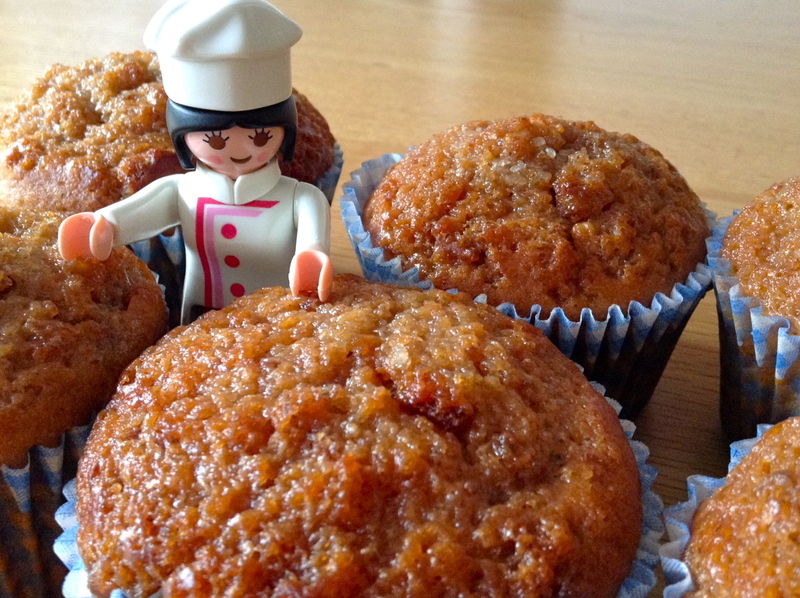 Very proud of my home-baked muffins! I have been thinking about one-handed breakfasts lately – things you can successfully put together with a baby in one hand. 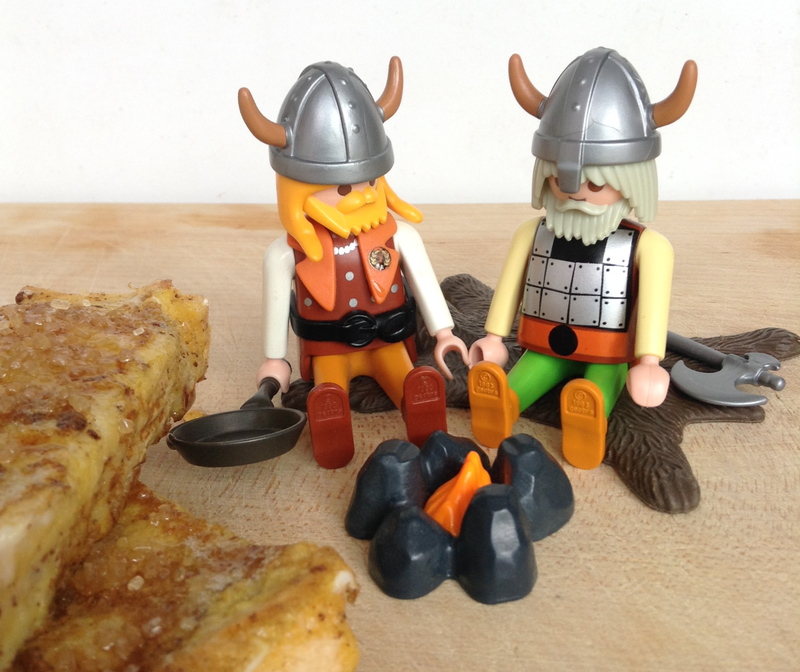 I’ve managed scrambled eggs, toast (tricky to butter, mind) and porridge. Yippee. There is life after kids. OK, it’s not quite up to The Wolseley standards, (check out their breakfast menu here – OMG!!) but it does us just fine. I love breakfast. In fact, I often start planning it the night before. Whether it’s soaking porridge oats in water in advance (helps them cook quicker), making pancake batter and sticking it in the fridge to save time, or simply laying the breakfast table to make for an easier morning – I am all about making breakfast easy, and tasty. It sets you up for the day, it’s a chance to sit down together, if only briefly, and just check in with each other. 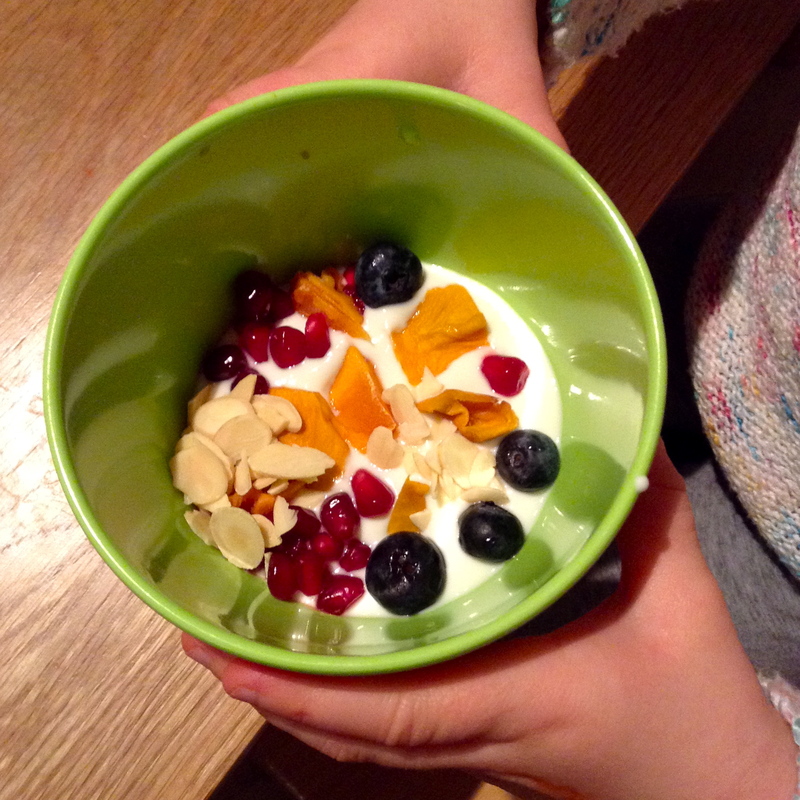 I like trying new things for breakfast – Spelt Flakes are a new favourite, for instance, and we always have fruit – cut-up apple or orange, or maybe banana or blueberries – and the children drink milk or water. I don’t buy fruit juice. I will drink a cup of Assam tea first thing, and have coffee later on. So I wanted to share a recipe for something else I like at breakfast: muffins. These banana pecan ones are really easy and not too sweet. The pecans give them a protein kick, which is a good energy booster for kids. You can’t make them one-handed, but you can make them in stages; get the dry ingredients all ready, then the wet, and then simply mix together. And no, you don’t need to be a chef – they are really easy! Granulated sugar to top. I use Barbados Amber Sugar, which I have written about here before – the granules are large and crunchy and it has a wonderful flavour. Sift the flour and baking powder into a mixing bowl and stir in the pecans, the sugar and the cinnamon. Combine the dry and wet ingredients in one bowl, mixing swiftly. The mixture can be quite liquid, don’t worry. Sprinkle some granulated sugar on top. Fill your muffin cases about three-quarters full, and then bake for 25-30 minutes. Perfect for a quick breakfast or mid-morning with a coffee. 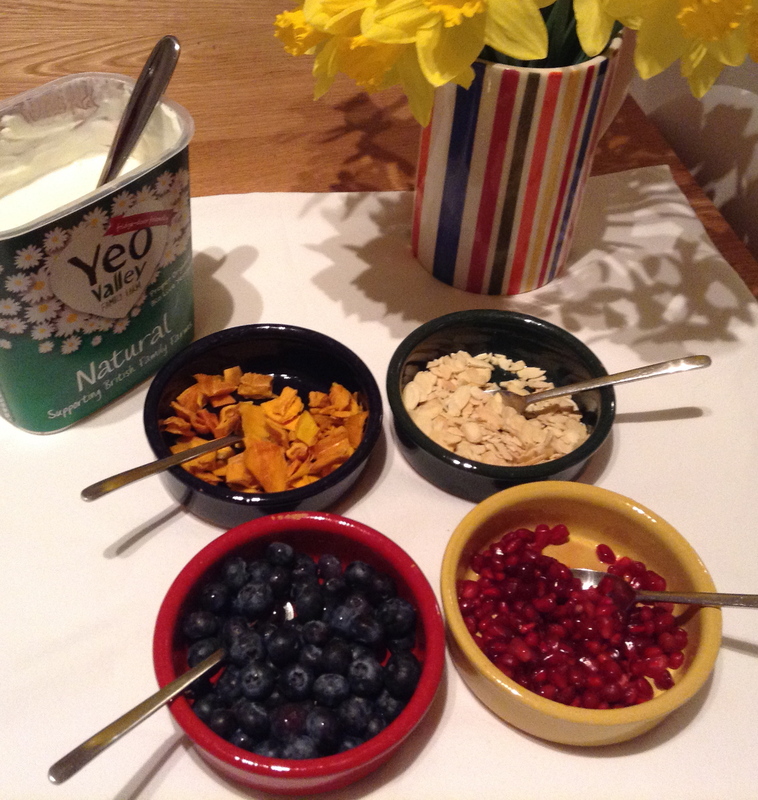 If you have any one-handed breakfasts you make – do share them. 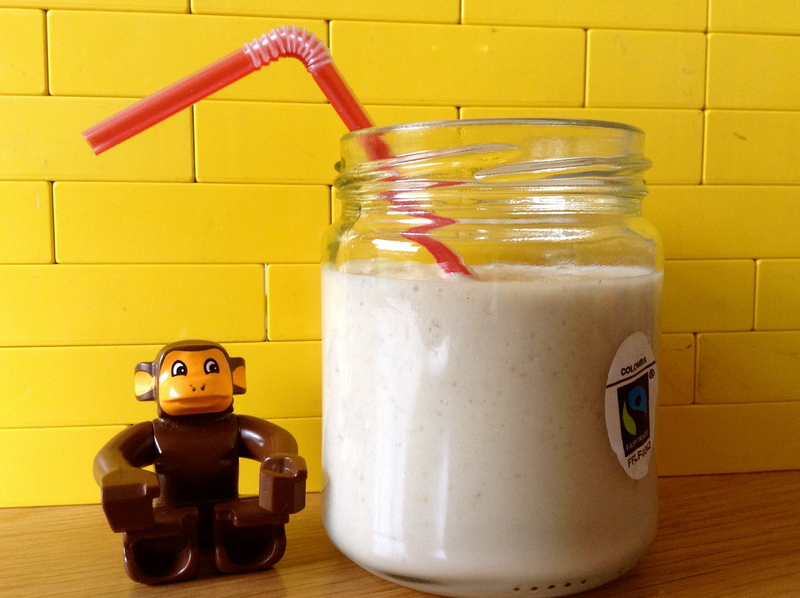 Having been given a swanky new blender for Christmas I am really enjoying concocting lots of delicious healthy smoothies every morning, and the children are loving them. I have discovered almond milk, which I’d never used before but it turns out it’s great in smoothies and is much lower in calories than semi-skimmed milk. Plus I’ve been using all kinds of fruit, including papaya, blueberries and frozen berries – but the staple ingredient of all my smoothies is banana. I prefer to use Fairtrade bananas where possible, in the same way that I buy Fairtrade sugar and Fairtrade coffee when I can. Did you know that all the bananas sold at Sainburys are Fairtrade? That’s right, all of them, even the economy ones, which are perfect for smoothies. Hurrah. So without further ado, I give you the winner out of all the smoothies I’ve been making for the past two weeks: The Banana Peanut Boost. The boost comes from the added porridge oats (more on those below), which give your smoothie a boost of B vitamins and fibre. The sweetness comes from the banana and the agave nectar, a natural sweetener with a low GI and a great alternative to sugar – as you know, we are all being advised to cut down on the amount of sugar we eat, plus it’s not good for children to eat too much sugar, obviously. Agave nectar doesn’t cause huge spikes in blood sugar levels and yet is sweet enough to ward off sugar cravings, and it comes in a squeezy bottle, making it perfect for smoothies. And peanut butter is just yum. And what’s more, assuming you’ve pre-toasted your oats, you can whizz the whole thing up one-handed, and drink it with one hand too, I promise you. No excuses, now! Peel the banana and break into chunks; chuck into the blender along with the Greek yogurt and the almond milk. Blend thoroughly. Add the peanut butter, the agave nectar and the porridge oats. Enjoy – and no monkey business!